Allow these recommendations of some of the best travel books to take you to new heights. If you want all the inspiration you can get before mustering up the courage to adventure, you are in good company. Books are windows into other worlds. They guide us, teach us, stay with us, and inspire us. If you are planning a trip, want to plan a trip, or just want to grow your adventurous spirit, reading is a great place to start. Another great thing about the genre of travel book reading is the fact that it brings you somewhere else. Reading takes you into a different place, and reading about some of the greatest fictional travelers is no exception. Crack open these pages and let your wanderlust spirit soar. Find your inspiration! This story follows a young shepherd boy, which shows the child in us all, named Santiago. This child has dreams of that fuel his desire to travel the world and find treasure. This book shows us how to chase our dreams and learn along the way. As this child adventures, he learns so much. 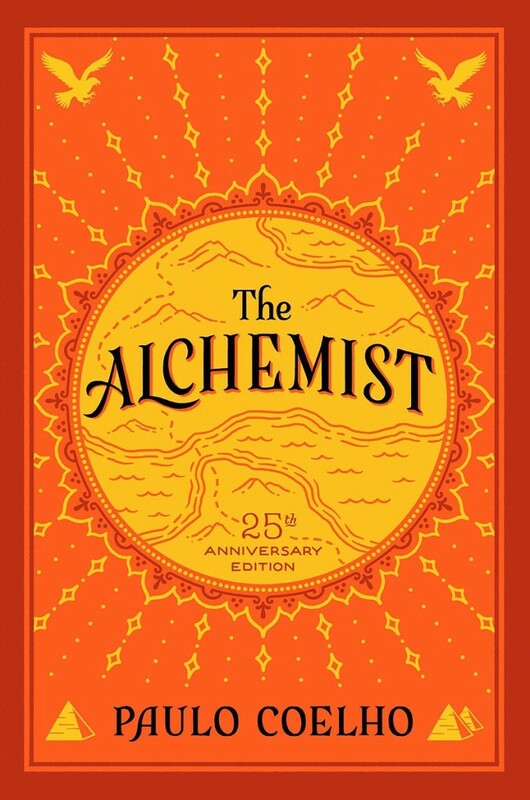 The most from an alchemist who teaches him to find who he truly is. This alchemist leads him. If you love ancient places like the pyramids in Egypt and tales of characters finding themselves, this is a perfect book for you. So many lessons can be learned from this book, and that is why it has gained so much popularity. Here are some of the lessons learned. You learn that "the fear of suffering is actually worse than the suffering itself". This is an important lesson for the one who wants to travel the world and embark on any new adventure. You will learn that everything that is pure and true will last, and all that isn't fading away. re grateful. Learn that it is good to venture out onto new roads and seek new horizons. It is not good to spend every day the same way for your whole life. If you are a frequent explorer, you know this all too well. This is a valuable lesson to learn. But also remember when things are mundane and monotonous, you can get that burst of fresh excitement and energy by being grateful for all the beauty around you "every day that the sun rises". In this book, we are called to live in the present. We are called to "Only be interested in the present". It does not help us to be happy if we concentrate on the past or the future, but we must be right here, right now. Keep moving forward. Anyone seeking new heights knows this lesson. We learn that when we strive to become better, we will see that positive change all around us. In this book, there is an encouragement in believing on our dreams. We are not to see the world as it is, but as it can be. This is the path to true change, adventure, and greater life. In this book, you will learn that life will knock you down but it is important to keep getting back up again. the famous quote comes from here: “The secret of life, though, is to fall seven times and to get up eight times.” Another important lesson to learn is to in this book is focusing more on how to live yourself instead of how others are living. We are told everyone has a good idea of how others should live, but none about how we should and this is harmful, creates resentment, and ultimately makes us miserable. Our final lesson to cover is this simple truth: “There is only one way to learn. It’s through action.”. No matter your travel dreams or plans, one thing is for sure: you will never be too prepared to fail. You may fail, but all that matters is learning in the process. This is one of the best travel books, as well as the most beloved. You can purchase The Alchemist here. In this book, our main character is named Helen Russell. She has moved from London all the way to Denmark. Just like our writer of the happiest places in the world book, this character decides she will figure out the mystery of what makes Denmark such a happy place over the course of a year. If you have ever wondered what it was that makes the Danish the happiest people in the world, this book will uncover it. This book shows the beauty of the word hygge. This word refers to a feeling of coziness and comfort, often caused by a feeling of inner peace and personal security. Our main character discovers this about the Danish people when she watches them actually enjoy braving a massive storm instead of simply getting through. Some of the things that make the Danish happy are the ways the decorate their homes. They appreciate beauty to be all around them, especially where they rest. They are sure to make their homes cozy and hospitable which is a very important factor in their culture. The Danish are happy with winter, and truly happy with staying in. This is the main key to survival. Other than hygge, this book teaches many other things to get you to be happy. Some of them include trusting others. Trusting people can truly make you happier. Less looking over your shoulder, less stress, more love, and peace. Next is something we all know, exercise! "When you exercise, your brain releases endorphins, adrenaline, serotonin, and dopamine. "- these are the feel-good chemicals! Get up and move to feel happy. Minimalism is next! The Danish are simple. their options, their attire, and their lives. There is less stress when there is less clutter- and that's in all areas. Next up is all about remembering it is possible to have pride in your culture, sports, or the successes of others. Find things you love and go on, enjoy them! Create. Work in meaningful ways. Do what makes you happy, often! We also learned that their governmental system is ideal. Paying high taxes in Denmark means things are taken care of for them, and that alleviates a lot of stress. Another awesome thing the Danes do is work less! The rest of the world may suffer burn out, but they are determined to have a true work-life balance. Working late is not a desirable thing to do. They value their free time and family time, and a work week for them looks like thirty hours, which is extremely low in comparison to the rest of the world. There is so much we can learn from Danish culture, and this book explains it all in a creative, fun, and animated way. Follow our main girl as she figures out where happiness comes from, how to get it, and how to maintain it by exploring and studying this culture. Studying the life of the Danish, their happiness, and their concept of hygge makes this one of the best travel books. The Travel Book: A Journey Through Every Country in the World (Lonely Planet) takes you through a tour of every country imaginable. If you want to travel the world, learn more about the world, or create an incredible bucket list, this is your book. The things included in these descriptions are all things culture. You will learn all about the foods specific to these nations, the entertainment, the music, and all the fun little details. In this book, you will see these things in a full and bright picture. From the locals to the natural marvels, the photography captures it all. This book is now at the forefront of travel books and is a must-have. It began in 1973 and has now graced countless homes. This book exists to encourage and inspire the average person to explore all the world has to offer. These nation listings are in alphabetical order for great readability, and the book itself is ginormous. This is a great gift to give to a friend or family member for their collection or library. The great thing about this book is that it works as a coffee table decoration but inside there's a whole world to explore inside. It gives a perfect snapshot of each nation and all there is to explore. This is a great book to go through with children and teach them about the world or to figure out places to visit next. Though this book is all about travel, it may not be great to travel with. It is 8 pounds and 477 pages in total, which means you may need to jot down your favorite notes from the countries you visit when you travel! The best part of this book has to be the pictures. These photos truly portray the essence of the countries they are taken in. Another great thing is the way it is written. The writing is of high quality and fully encompasses the culture of the nations without being overly wordy. Once you purchase this book for yourself, you will want everyone you know to own one. The best stories that come out of this book are the ones that tell the tales of families visiting these destinations. How incredible to look back on memories as you flip through this book in years to come. You will tell stories of the times you visited some of these destinations to the next generation! There is no doubt that you will consider this book worth every dime you spent on it. It will take you right to these destinations in spirit. Since there is such a small snapshot of each country (2 pages worth), this is not an in-depth description of each country. This book is great for kids who are learning the basics or those who want the main attractions and things about nations to come to life. You can expect to be wowed as you flip through this book, and you will not regret adding it to your library collection as one of your best travel books. This next story is about a woman named Elizabeth Gilbert who is a writer and journalist. She goes through a terrible divorce and falls into a depression. She decides these things that have happened to her have sucked the life out of her and she now needs a change. That is the basis of where our story beings. Her first part of the plan is to take care of her body, and that involves enjoying food and drinks in Rome. At the end of this, she realizes she is still in that same state of depression. Onto the next experiment. In the next part of the plan, Elizabeth tries to care for her spiritual size. she learns how to meditate and pray in a temple in India. In the third part, it's all about love. She travels to Bali, Indonesia. Here, she finds love while meeting a man that will soon become her husband. It is easy to see why this story sits so well with the public. So many have gone through the pain of a failed marriage, and this often wreaks havoc on your body, spirit, and trust for future love. This book tackles all those areas and shows that healing and restoration is possible when you care for yourself. Is this where you are right now? Do you need a change, an escape, a renewal? Is that why you are longing to travel? You are not alone here, and this book will give you the courage to do it. Elizabeth leaves her life as it is and finds herself on her year-long trip to these three incredible places. She sees the beauty a journey can bring and the clarity and balance it can give someone who is hurting in every way possible. Physically, emotionally, and spiritually. It encompasses much of what we as people try to run from: caring for ourselves. 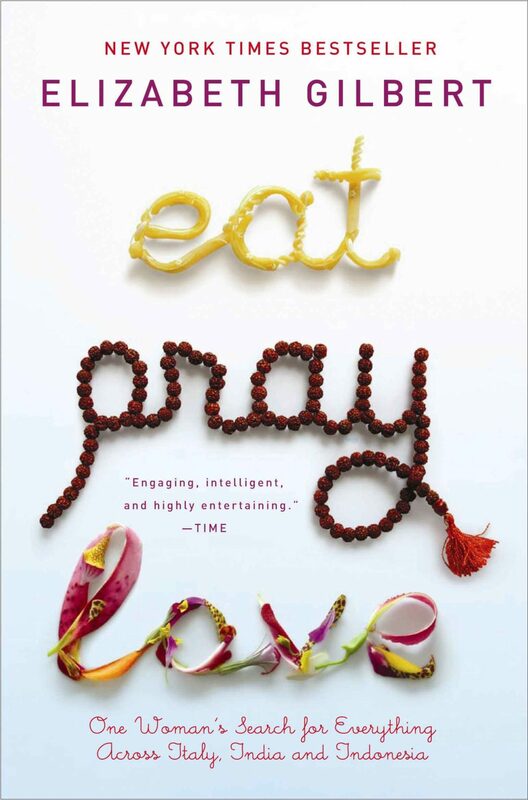 A great tool to buy as a companion to this book is the Summary of Eat, Pray, Love. With this summary book, you will learn exactly why the countries were picked, and that may lead you to follow in these footsteps. In this book, you will see what goes on spiritually and physically within her journey. It covers the journey and how she found breakthrough and balance on it. If you don't want to read the entire book, this is a helpful resource. it gives you the perfect summary of a book many love but definitely call a slower read. If you are currently through a hard time and that is your motivation to travel, this is the book for you. It will help you learn how to be free and genuine in your life moving forward. This book will show you how traveling and experiencing new cultures and customs can truly teach us something. There is so much to learn as we travel, about ourselves and others. This book truly has changed the game for many people and encouraged them to embark on their own journeys where they will eat, pray, and love again. This is one of the best travel books to read for self exploration and restoration. This book covers everything about the joy you will find in other nations. With a humorous twist, it brings you plenty of ideas of where to go and what to do if you are looking for the happiest places. It will bring to light all the things that make these happy countries special. The author is honest, funny, and willing to try anything. He is quirky and excited to partake in all the things these countries have to offer. All the best things about these countries are brought out. Calling himself a grump, this author spends a year journaling his travels exploring all the things that are happy about these nations and cultures. The book is divided into chapters, one for each country he visits. Countries like India, Thailand, Iceland, and Great Britain. Most travel books will give you the popular overviews of tourist attractions and main things to do in countries, but this book dives deeper. There is so much to learn about how culture plays such a big part in making up who we are and what makes us happy. He quotes: "Culture is the sea we swim in - so pervasive, so all-consuming, that we fail to notice its existence until we step out of it." Obviously, it will be tempting to disagree on many points, especially if he is talking about your country. But just remember that these are his personal observations and experiences! All the more reason to explore these happy places on your own! All in all, this book is about exploring the beauty and flaw in all humanity. All nations and cultures are a mixture of good and bad things, but there is so much happiness to be found in it all! Many reviewers call this book intelligently researched. The writer shows us which countries are the happiest by scoring them and measuring on scales. One of the best things this book will do is put into perspective the reasons we are happy and the things that make us happy. This book is great if you are taking a spiritual journey or if you are simply wanting a light read that will give you some ideas about happiness and the things that cause it. At the end of it all, this book gets down to the secret of happiness, which is that it is found in your own back door. One of the coolest parts of this book is the fact that the countries adventured to are not your typical touristy spots like Qatar and Moldova. The whole purpose of this book is to explore what makes you happy, what makes a culture happy, and what makes a people unhappy. If you love to travel, love to explore, and love to adventure, this book is a great take on happiness in the places you visit. This is a great book to bring along with you as you travel the world and explore all there is to find in the most unusual places. Next up, we have a different kind of book. A book of your own making! We are talking about the 50 States Traveled Journal. This travel journal is made of heavy cardstock, with plenty of love poured out onto them. The purpose of this journal is to note all the incredible hole-in-the-wall places you visited that are true gems. You know what we mean. Those places that are not documented in the major, mega travel books. Like small coffee shops owned by families, who pour heart and soul into their creations. Or rose gardens that no one seems to see as a tourist attraction. Even small museums that are not largely visited, but are special to you. This journal is for those moments, as well as the big ones. Start taking notes on your travels around the states of all the little things you never want to forget. Inside, you'll find two pages per state where you can write about things like the greatest dishes, the most endearing moments, and all the things you want to look back on one day. These pages layout for you the exact ways to journal in the most memorable way. The way this journal was created will strengthen your love for it even more. It was created by a husband and wife duo. Seeking to create something passionately for others to enjoy one half has said, "My entire life, I've had an indescribable passion to create something tangible that other people can enjoy too." - Tanner. These journals began with sketches- totally by hand. This team loves to work together to create. They embody the beauty of what it means to create something meaningful and do it passionately. Those who buy these say they are well made and high quality. Reviewers also say they are unique and one-of-a-kind, kind of like your travels. It has also been said this is a great journal to track traveling and make sure you don't forget anything. This journal is a great gift for anyone in your life who travels, but specifically kids, reviewers say. Children come up with things you missed, and they remember events in color. One reviewer even told a story about how her in-laws traveled when they retired and now she has these to look back on their experiences. This is clearly a heartfelt memento that is special no matter who uses it. If you have ever traveled across the USA, you know how much there is to document. From the Statue of Liberty to Mount Rushmore National Memorial, to the Empire State Building. 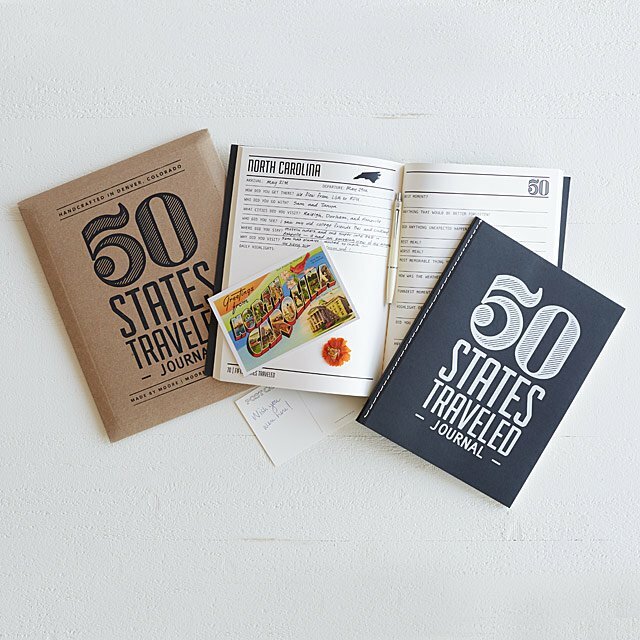 With this travel journal, you can document all these experiences as well as all the hidden unusual, non-touristy things to do in the US. Things such as the ones in this article about the 7 unusual things to do in the USA. A great thing to do with this journal is making a scrapbook out of it. You can buy stickers, print out small photos or purchase postcards, and buy gel pens to make this personalized. Document your trip in a creative way by turning this travel journal into a scrapbook! “Nothing behind me, everything ahead of me, as is ever so on the road.” This story is a tale from a time before ours. It beings in 1947, when things were different but not all that much. Our story follows two friends, Dean and Sal. Both are just trying to figure this whole life thing out. One is a writer and the other a womanizer. There is tons of travels around the country. As the plot going on, we see just how much traveling, especially with those we love, changes us. Often times for the better! There is great character development in this story as well as encouragement to travel with those you love. This book started a movement in the generation it was released in as well as those to follow. It showed the greatness and adventure in leaving real life and traveling, as well as the hardships that come along with it. It gives inspiration to those who may be struggling with life and it's perils like one of the main characters and gives them the inspiration to be courageous. To follow dreams and passions. 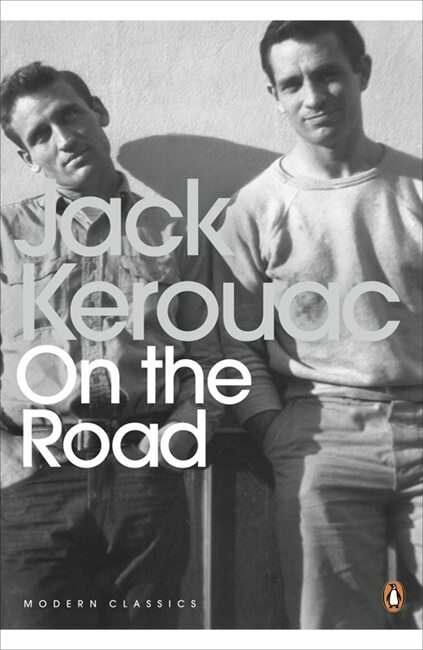 A great companion to this book is "Why Kerouac Matters: The Lessons of On the Road (They're Not What You Think)". This book shows how though this movement created rebellion a new way of exploring, there is more to it than just that. It shows that there is not just one right way to grow up or live as an adult, but everyone has a different journey. On the best travel books list, this is top pick. If you are having a hard time with this life, or want to use travel as a way to grow, this book is for you. Traveling has so many therapeutic properties, and the best self-revelation can be explored in them. It was a different time when this book was released. The concepts proposed here deeply resonated with people in this day because the world did not look at the benefits of travel as they do today. But even today it is a great classic read. The lessons range from the beauty of long friendships, the development travel causes, how growing up can be done in different ways, and much more. This book is full of life lessons to take with you anywhere you find yourself racing off on your explorations of the country or the world. Another reason this book is such a classic is that of the writing introduced. Kerouac, the author, truly used such beauty in this work. If you love this book so much you want to see it on the big screen, there was an adaption done in 2012. This beautiful story of who aspiring writer friends and the growing up story will leave you breathless. The cast has some huge actors and actresses such as Amy Adams and Kristen Dunst. It tells this story beautifully and ends with Sal finally being able to write his novel about his travels with Dean, which is the inspiration he had been looking for all along. His beginning life question is answered, and the response makes him all the better. This book is similar to eat, pray, love, as it is all about self-discovery and gaining balance through traveling. Are you looking to take a solo trip? Is it important for you to travel on your own? To explore to great unknown with nothing more than a backpack and a will to experience all there is out there? Then this book is for you. In her early 20's, our main character Cheryl Strand has a slowly decaying life, and eventually, she decides there is nothing left that can be taken from here. Putting everything on the line, she decides to take a journey by herself into the great unknown and do something that is very hard to do. Without skill or training, she hikes the Pacific Crest Trail by herself. This story is about a woman who suffers, loss, hurt, pain, and decides to keep going anyway. The descriptiveness of this book will leave you in a state of utter shock and as if you are in the story with her. Over these three months, our main character Cheryl tries something that will ultimately change the trajectory of her life forever. It will remind her that courage is found at the end of her rope. This book is said to read like a novel. It has caught you when you lead expect it and draws you in to love the characters deeply. Many take this story and truly cannot fathom the good in it. They will tell you they see it as an unprepared young girl who self sabotages and then tries to escape. But there are truly so many lessons to learn here, regardless of some of our main characters questionable actions such as trying drugs, cheating, and being unprepared for her travels. As with any book, we have to find the good and appreciate it as is. This book is a novel, not a how-to-live manual. The beautiful writing and lessons make this one of the best travel books around. In this book, we learn how loss can affect us and how travel can help heal. We learn the beauty of relying on others as we travel. We learn that sometimes things do not go as planned, but we cannot give up on life. We must keep going. If you are a backpacker yourself, this book may get your really excited (or make you cringe at being unprepared and taking this journey). You may meet characters along the way that remind you of those you have encountered before. This story has a bit of all of us in it. 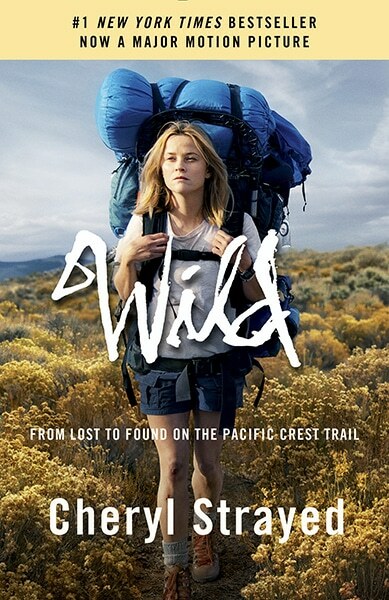 Though many of us will never hike 1,000 miles of the Pacific Crest Trail, we can all relate to this story in some ways. We have all experienced the pain of loss that we could not fathom in some form. We have all have perils in our friendships and relationships. We have all self-sabotaged and made poor decisions. And many of us have seen traveling as the much-needed help and healing to some of life's harder issues. This book is for everyone. This is the ultimate bucket list book, and is hands down the best travel book. If you are looking for a book that has guided many, look no further than this one. This is the world's bestselling travel book! It has been revised and edited since it's release. This means it is more colorful, ore up to date, and has more entries of these beautiful places to visit. Nevertheless, the basis stays the same. It brings you through the world in full color, highlighting all that is magnificent along the way. This book is pretty much every traveler must have the book. It is the type you will want to stash in your bag and scour as you plan. There are so many places to see, and they are calling your name! No matter what trip you are looking to plan, you will be able to find the perfect one. Especially with the brighter second addition, you will be able to see the places to travel in full and vivid color. Some of the most amazing places to visit on this list are as follows: Staying overnight at the Ashford Castle in Ireland. Seeing the Northern Lights in Norway. Exploring Machu Picchu in Peru, and so many more worldly attractions. If you buy any travel book as a staple, make sure this is the one. It has an adventure for every mood, every budget, and every person. This book is absolutely a touristy read. It will show you the most popular places in the world. If there is a traveler in your life who enjoys seeing the most popular sites, this is a great gift. Or maybe it is you! The testimonies are amazing of those who have purchased since this book. There are people who say they have seen over 500 places in this book since purchasing it. It will take you to new heights and call you to dream bigger. 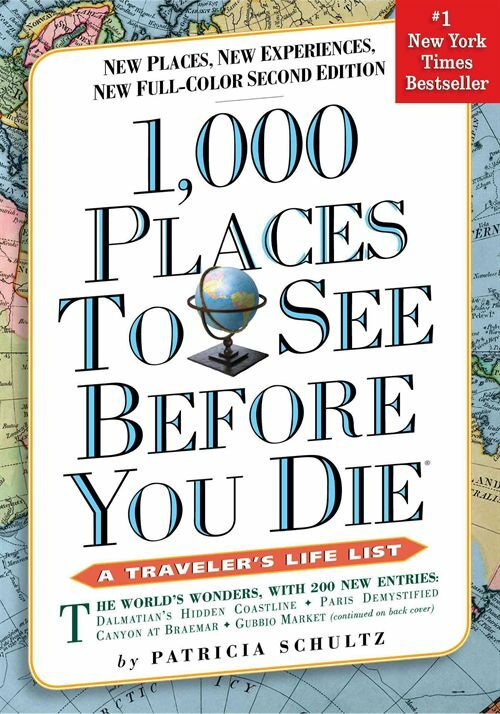 If you are at a loss as to where to go and what to see, you truly will not find a better resource than 1,000 Places to See Before You Die: A Traveler's Life List. With these best travel books, you cannot go wrong. Regardless of what your taste is like, or what kind of adventure you want to read about... There is a book on this list for you. Are you going the more practical route, logging places into your bucket list, like 1,000 Places to See Before You Die? 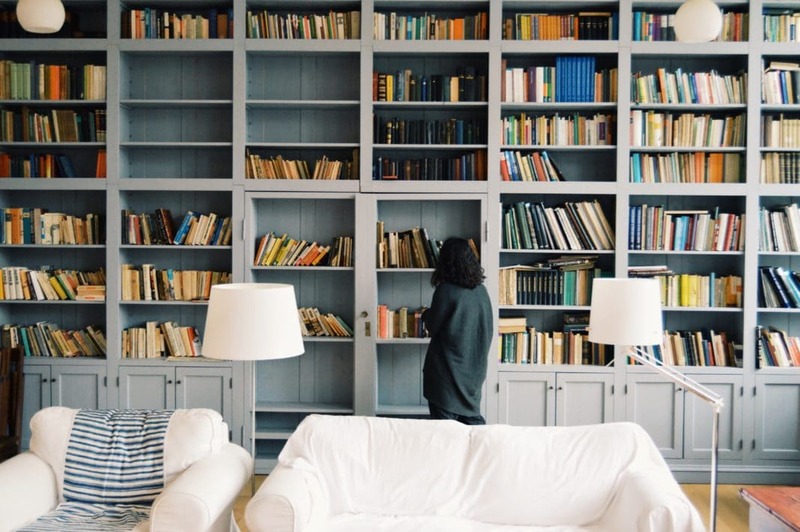 Or are you searching for self-exploration books like multiples on this list? One where you travel to a new place and in the process come to discover who you are as well. Books can be with you during your travels on a hard night or help you prepare to take the next step in exploration. Books are one of the best things to take on a long trip as inspiration or to occupy time. Make sure you choose wisely on which one you will enjoy! If you typically read a romance or a mystery, consider reading a book on travel to match your excursions!Regardless of why you are interested in reading travel books, you cannot go wrong with any on this list.